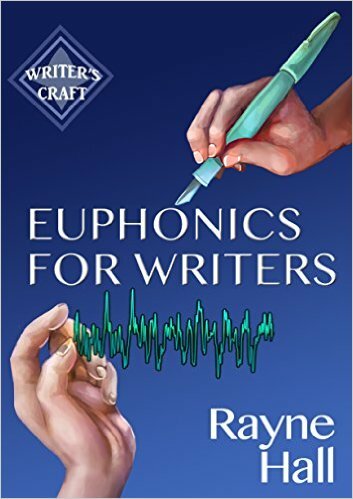 Creativity Humor Growth ☺CHG☺ Claudia H Gruy Writer's Burrow: Book Review: Rayne Hall "Euphonics For Writers"
Ok, this book took me by surprise. 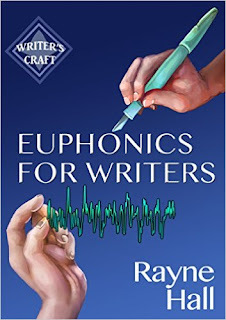 I confess I had never heard about Euphonics, but since music plays a huge part in my writing I was curious how specific sounds could improve the message I wanted to deliver by touching the subconscious. The first part is basically a Thesaurus explaining which letters create which feeling if used in a certain way. It was a continuous string of “AHA” experiences and I kept jogging down on index cards while playing and juggling with sounds. as it involves more background, insights and generally needs more concentration. to understand what was going on. and my mind tends to jumble a variety of meanings and syntax if puzzled.